The new I-495 HOT lanes, also known as 495 Express Lanes, are expected to go into operation late this year. Discussion of these lanes and the concept of dynamic pricing can be found in many places on the web (official site, a previous post of mine re: the theory of HOT lanes). A quick glance at the "Energy" tab on Romney's website led me to notice this logical inconsistency. "History shows that the United States has moved forward in astonishing ways thanks to national investment in basic research and advanced technology. However, we should not be in the business of steering investment toward particular politically favored approaches. That is a recipe for both time and money wasted on projects that do not bring us dividends." People like me who follow climate-change news closely often find it difficult to understand why it is that we ("we" as in humankind) are doing so little to stop it. Maybe I can't speak for everyone, but I certainly find it difficult. 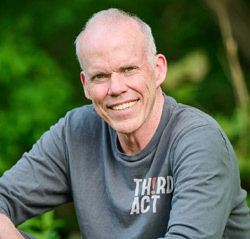 Bill McKibben's recent article in Rolling Stone was another hard slap in the face that exposed how close to doomed we are. So close, yet so little is being done. Why?